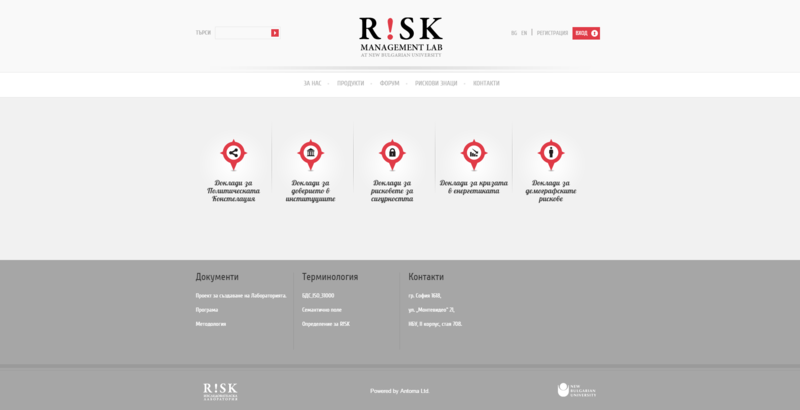 Design and development of RISK Management Lab website. RISK Management Lab is a research center, providing scientific and applied research on security issues and a critical assessment of how authorities manage the risks to citizens, society and institutions. The website has a modern design and a document management system used to create protocols, to manage and store documents. It is also an ecommerce website selling reports. The website also has a forum, where users can search, discuss and share information, assessments and experience, communicate and find other users with similar interests. The site is based on TYPO3 CMS which is upgraded with custom scripts and plug-ins.